The decision to adopt a child is one that can change the course of your life and the course of a child’s life forever. There are many children in Georgia and across the world who need a loving family to support them and to take them in. Adoption is a specific legal process that gives children and parents the same rights as those born into a family. In order to adopt a child in Georgia, you must be at least 25 years old (if you are single) and at least 10 years older than the child. If you are married, you can be 18 years old to adopt, but you must still be at least 10 years older than the child you wish to adopt. Finally, you must be a resident of Georgia for at least 6 months before seeking adoption. If you meet the basic requirements to adopt a child, you can begin the adoption process. Some families wishing to adopt may seek the assistance of a qualified adoption attorney in Georgia to assist them with the adoption process. The Law Offices of Gregory C. Okwuosah, L.L.C. 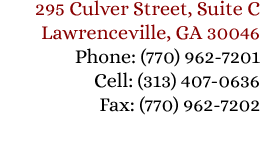 are adoption lawyers in Atlanta, Georgia, serving families and individuals in the Atlanta area. What is the Adoption Process in Georgia? 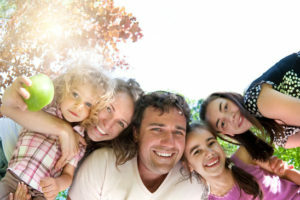 Families choose to adopt either by using an adoption agency or by making an inquiry with the Georgia Division of Family and Children Services. If you know a child in the foster system and have a desire to adopt him or her, the first step you will take will be to contact the Georgia Division of Family and Children Services. Some families who have a particular child in mind in the system will contact an adoption lawyer in Georgia to assist them with initiating the process. Gather information. You will meet and learn about the adoption process in Georgia. During this information gathering period a Resource Development Worker may visit your home. Whether you are adopting through a private agency or working with the Georgia Division of Family and Children’s Services, you will be required to undergo training before adopting a child. Individuals are required to attend 23 hours of classroom training. During the training program, you’ll learn about the children in Georgia who are available for adoption, learn about the impact adoption will have on your family, learn behavior management techniques, and learn about the agency’s role in the adoption process. Adoption of older children can be particularly challenging. Many of the children available for adoption in Georgia are considered special needs. Acquiring skills to manage the stress, challenges, and rewards of adoption is important. Family evaluation. A case manager will gather medical records, criminal records, financial records, and discuss your own views about the adoption process to determine whether you are a good fit. Once your family has been approved, you may be matched with a child or select a child from the pool of children available for adoption. If you have a child in mind, you may meet with the child. The final steps in the process of adoption involve legalization of the adoption in the court system. During this step, some families choose to seek the counsel of an adoption lawyer. Many families have an attorney file an adoption petition with the courts. The adoption process in Georgia can be complex, depending on your circumstances and goals. If you are considering adopting a child, it may be a good idea to speak to an adoption attorney in Georgia. The Law Offices of Gregory C. Okwuosah, L.L.C. offer qualified and compassionate legal counsel to families seeking adoption. Legitimization is the process by which a father legally establishes paternal rights to his child when a child is born out of wedlock. Without legitimization, a father may have no right to custody or visitation. Additionally, legitimization allows children to inherit from their fathers. Without legitimization, the ties between and father and child are not legal or clear. There are several ways that fathers can successfully complete the legitimization process. If both parents agree, the father can file a voluntary paternity acknowledgement and receive legitimization at the same time. In the past, fathers had to obtain a court order in order to legitimize the child. Prior to this process, all fathers were required to petition the court. This could involve a lengthy legal process that would take months. While it is now easier in Georgia to complete the legitimization process, there are still cases where fathers may need to petition the court. If the mother doesn’t agree, or if there are other legal concerns, you may want to seek the assistance of a family law attorney. A lawyer can help you navigate the legal process and help you secure paternity and legitimization, if you are facing challenges. It is important to have the right to see your child and support your child. 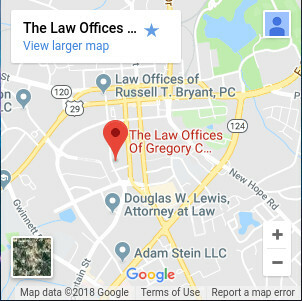 If you are facing difficulties or have questions about legitimization services in Georgia, contact the Law Offices of Gregory C. Okwuosah, L.L.C. today to learn more.